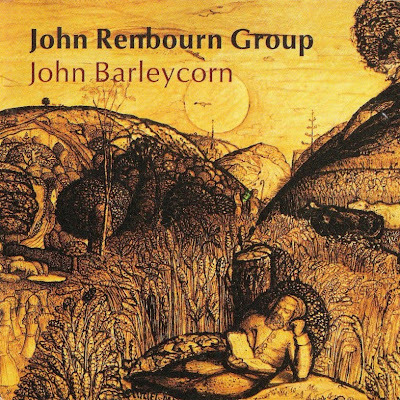 A compilation of the two mid-'70s albums by the John Renbourn Group, JOHN BARLEYCORN is a welcome re-analysis of an under-appreciated era in John Renbourn's long and varied career. The John Renbourn Group combined two of the primary facets of Renbourn's late-'60s/early '70s career. Jacqui McShee's utterly delightful voice is transferred over from Pentangle, and the jazz and world music tinges of solo Renbourn delights like THE LADY AND THE UNICORN are recalled in Tony Roberts' flute and clarinet obbligatos and in the Indian-style hand percussion that anchors many of the songs. Traditional British folk tunes like "Blackwaterside," "My Johnny Was a Shoemaker," and "Death and the Lady" sound perfectly natural next to the Indian music-influenced "Sidi Brahim" and the Eastern European "Schafertanz/Nachtanz." Exceptional stuff.